Here is artist Sophia Rapata and I during Ban Art Fair 2017 at 18th Street Brewery. I'm holding a new screenprint I produced for the event. Sophia is holding a screenprint of my "Mummy Youth" graphic and being groovy as usual. 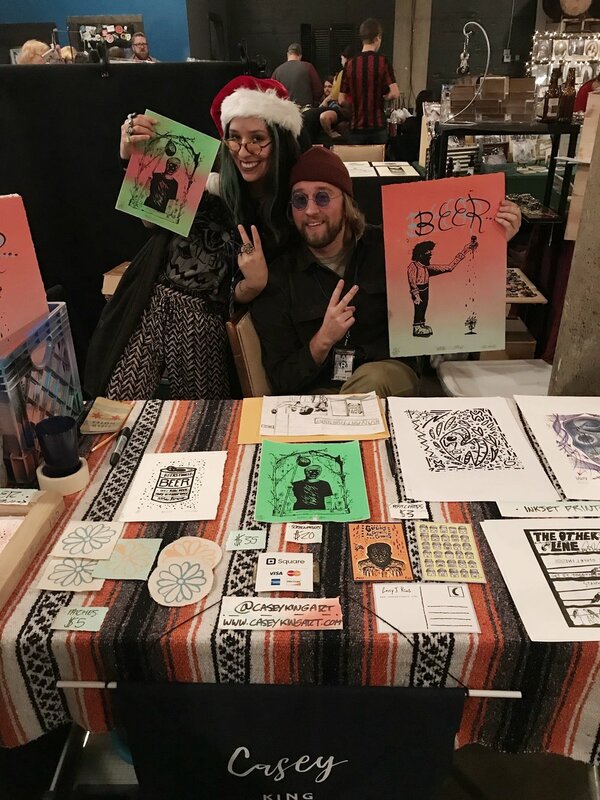 My first big event setup as an independent artist and I managed to sell a few screenprints by the end of the day. To the folks who purchased something...thanks! You made my day.